Al Falah University participated in the conference entitled "Happiness Equals Giving" organized by Al-Nahda Women's Association. The delegation included Prof. Nasr Abbas, Dean of Student Affairs, Dr. Rene Ramses, Assistant Professor from the College of Mass Communication, Dr. Nadia Al Bayati, Assistant Professor from the College of Law, Dr. Roohi Hasan Imtiaz, Assistant Professor from the College of Business Administration, in addition to several AFU students. 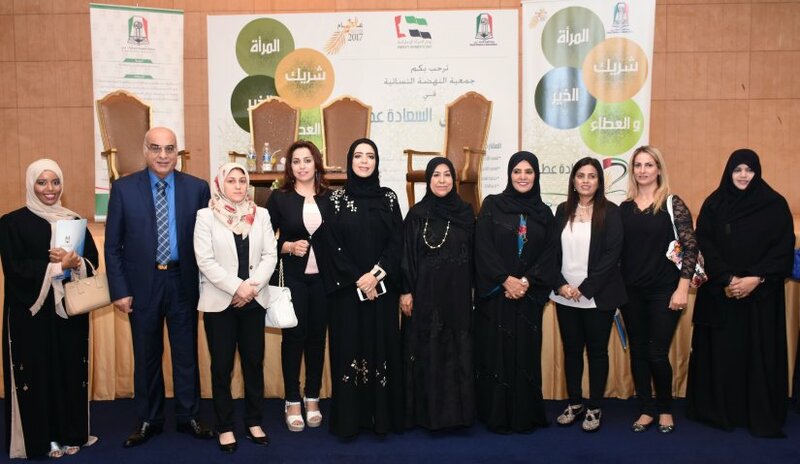 The forum comes at the invitation of Her Highness Sheikha Fatima Bint Mubarak, President of the General Women's Union, the Supreme President of the Family Development Foundation and Chairperson of the Supreme Council for Motherhood and Childhood to celebrate the achievements of Emirati women in 2017.